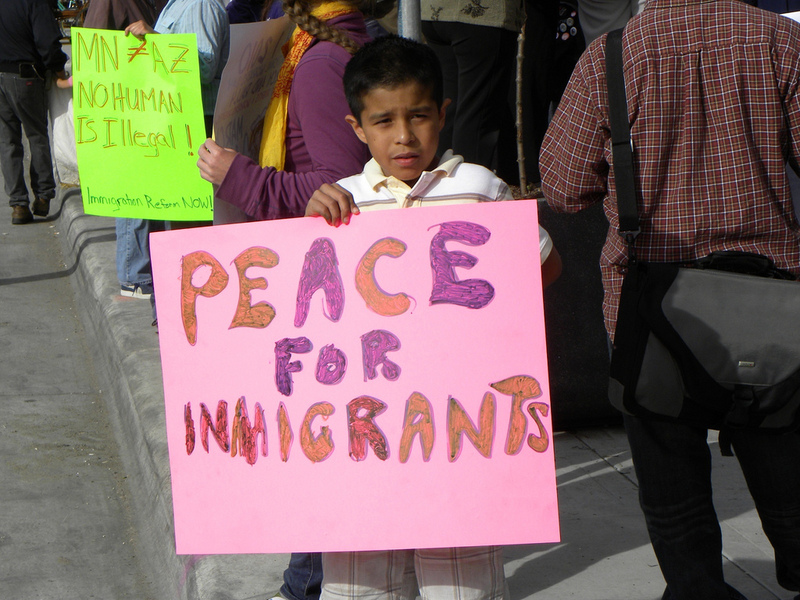 Protesting Arizona's immigrant law, this young boy and many other citizens in the U.S. want to see peace for immigrants. After separating hundreds of families, President Trump has left their fate in the hands of the Justice Department. After immense pressure from the public, President Trump signed an executive order on Wednesday asking the Justice Department to keep illegal immigrant families in custody together when possible. Prior to this decision, all adult immigrants found illegally crossing the border faced criminal charges and were separated from their children. The children would then be reclassified as unaccompanied alien children and held for a max of 72 hours before being placed in 1 of 100 shelters, unless they were able to be placed with a family member already living in the U.S. Under the new order, illegal adult immigrants will still be prosecuted in federal court and no families already separated will be reunited.